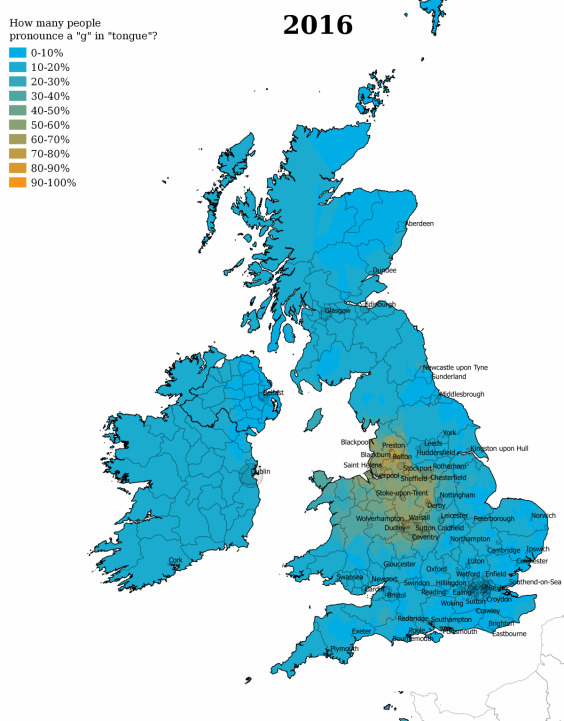 Tonge Pronunciation : Artlcle from The Independent regarding pronunciation of the word Tongue in England and particularly Bolton. 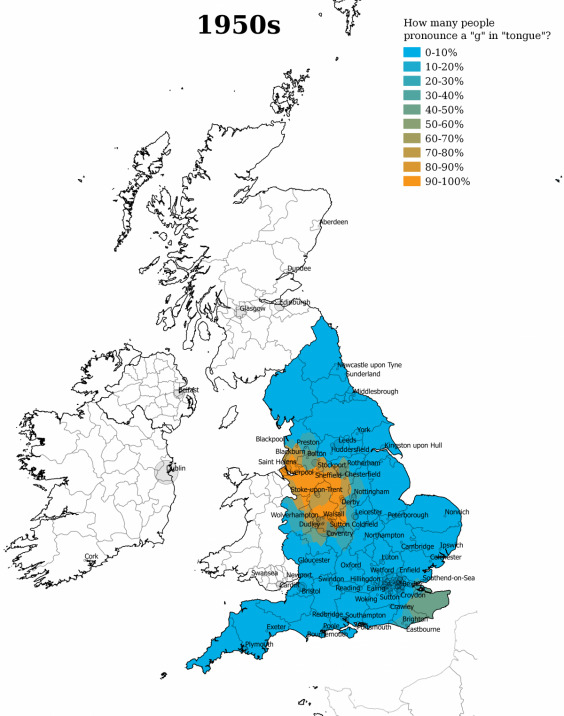 The Independent web site contained an article about regional variations in the UK of pronounciation of a number of words like three, splinter, arm, butter, last, new and tongue (the latter being the one of particular interest to me). Their article compared a study from the 1950s with data from 2016. How do you say “TONGUE”? If you pronounce the “g” then you're from Bolton or Preston. Everyone else gives it a soft “ng” sound. Back in the day, the hard “g” in “TONGUE” was much more common in Stoke and Merseyside.